The accomplishment of your small business website drives on many things. There are lots of importance of web design for small business. If you are thinking about redesigning a website or ways to get the most out of your small business website, start working from today. The website serves as your company’s main door to make out the maximum conversion. So, make sure your small business website is equipped with all the necessary features. Presently, most of the small business fails to exploit the most successful web design techniques. If you are small business owners willing to build a more effective website that brings maximum sales find the features that make your website more successful. Together with the product and service you deal with, building yourself as an online solution that is estimated can make a long run on developing your customer base and gain the support. If you consider your website as online marketing tools, it is essential to make it rich of key features. Simple design and readable fonts with easily accessible contact details and informative contents are the main basics of a website. Are you ready to design your small business website? Your small business success rides on different things. Before working on a design for your small business, make sure to check the top features that every small business website should have. If you consider your website as an online marketing tool, then the significance of some features instantly raises to the forefront. If your visitors land on your homepage and do not find any effective features then they are likely to go to other sites that satisfy them. So, make sure you have essential features that every small business website requires. Domain name is unique identity and the first thing that your website requires succeeding online. This signifies who you are, your brand and the services you offer. It is always ideal to pick the domain name with .com. There are lots of domain name service provider where you can check the availability and buy a domain name. Do not rush while choosing a domain name. Instead, make time to think about it. Be sure that your domain name is short, easily recognized and meaningful. A domain name should not be troubling to spell, long and confusing. It should clearly represent your brand and the products or services you deal with. Visitors may not browse your website repeatedly if your website is difficult to explore. There may not be a difficult and instant rule for navigation design, but if you think as an inbuilt element, you will know the reason. Navigation design has the key role in user experience. On your small business website make sure navigation bar is present at the top of all the web pages. It helps users to find what they are looking and they love to visit your site again and again. In addition, Footer navigation and breadcrumb navigation should go well with anything that makes users easy to explore your website. Customers visit your small business website to contact with your company. 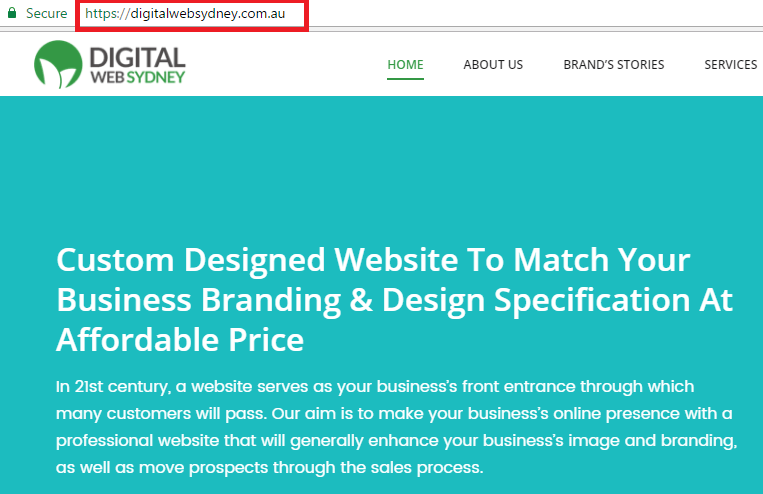 So, it is essential to have contact details on your website. The contact information includes an email address, contact form, location, contact number and so on. These details should be placed on the top of your homepage where visitors can easily keep their eyes. It is ideal to get the information that relates which appears before scrolling down. Also, you can have contact information related to your company like social media pages, additional location and working hour. Good Call to Action (CTA) is a plus point for your website. So, it should be placed various places on your homepage, both before the fold and bottom of the homepage. This helps visitors to take instant action to your website. It is essential to add your contact number and hyperlink on your contact page. Most web developers will include a box on web pages that highpoints the contact details to make it more visible with the maximum conversion. In addition, you may not desire to make your website sales pitch as it may irritate your visitors. So, one of the ideal ways is to experiment and look which works best for your specific website. Placing simply worded statement or command like “Call Now” or “Sign up” are likely to get the desired action compared to “Click Here”. Content plays an essential role to progress your website. Most website owners do not focus on content and they just fill up a web page without giving much priority. However, without an effective content, your web design is nothing. So, do not be lazy to make your website rich of informative and striking content. This helps to convert your visitors into loyal customer. If you are planning to hire a professional web Copywriter, make sure you provide them enough information about your website. Be sure your website is readable and easily understandable. Every page in a website should be fresh with original content. For assurance, make proper usage of Cityscape and check to ensure all the contents are original. Also, Images are key for all the types of website. We are in the world where people love to visit the website rich of images. Be sure your images are not much heavier and are of adequate size to speed up the load time of your website. For better result, you can include infographics as they look more effective compared to the words. Visitors will browse your website from their desired device which can be a desktop, laptop, mobile devices or any other. It is important to develop the website that is responsive. You can do it in two ways. Either build a separate website with similar URL or use a web development platform that automatically adjusts the website to any device your users explore. The second option is much cheaper than the first one. So, I suggest going for a second option. This is an essential thing so make sure your website works well on all the devices. Google also gives priority to responsive web design. Do you have a blog page on your website? If not, then your small business website is lacking behind today’s trend. The key reason to have a blog is to drive website traffic with maximum conversion and leads. Also, you need a blog and be sure you update it regularly once or twice a week. In addition, Google rewards you to update your content regularly. Be sure you have an influential title, 2-4 subtitle, 2-4 internal linking, an effective image and a quality CTA. Including suitable meta tags and selecting applicable categories can be helpful. So, make time for the good blog page and I assure you to get the positive outcome. These are the top features that every small business website should have. Also, the accomplishment of your website can be predicted using these techniques and features. Truly, clean, easy to understand typeface with quick load time are a good ingredient for the healthy small business website. Always build a website focusing on your users and encourage enduring relation delivering the thing they demand. Sadly, some small business owners fail to update these features on their website. Better to spend time and budget to invest in SEO-friendly website with easy navigation and you can easily shine in today’s competitive world.